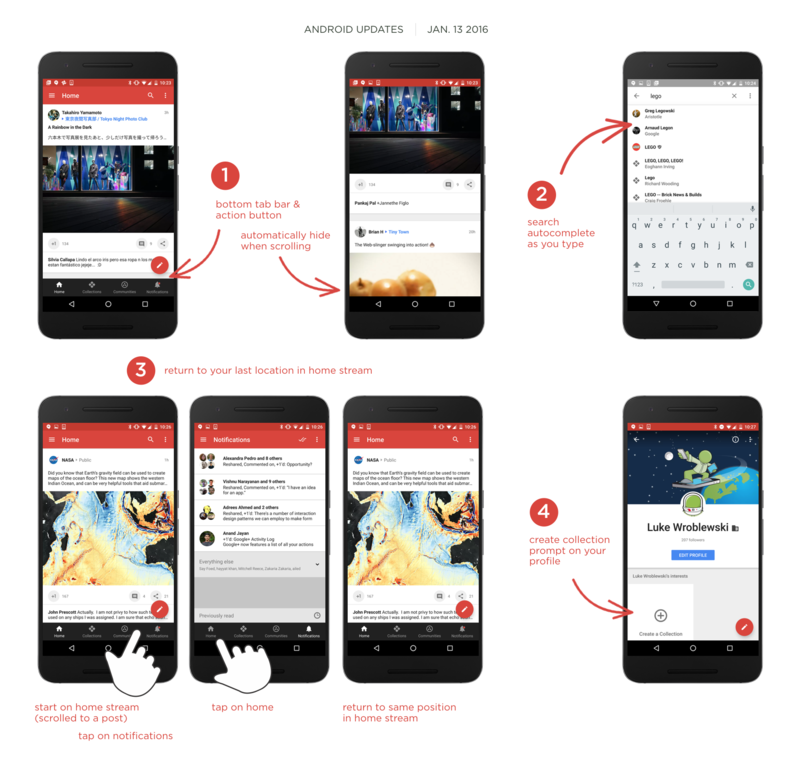 The Android app for Google's favorite social network (guess) has received an update that will make the experience more pleasant for a solid number of you bothered by a specific design choice. Need a moment to figure out which one? Here's a hint—it's the black tab bar at the bottom of the app. In 7.0, the bottom tab bar should disappear once you start scrolling. It doesn't work yet on the notifications screen, and quite a few people say the feature isn't kicking in for them yet at all. Your instructions are to be patient as the functionality makes its way out to users of the next few days. Other changes include the way the home screen now remembers your position when you return from a different screen and how searches now display autocompleted suggestions as you type. You will also receive a prompt to add a Collection or Community to your profile if you don't have one yet. But really, it's all about that tab bar.